Call 805-322-1495 or Register today. and quickly have you become an Elite Office1 on OpenHouseOn.com™ in one phone call. Office Zip Code Ads, when available, typically cost between $360 to $450 per month per zip code representing a 50% discount. This allows ALL agents at your local office to use ALL Elite Agent features below. Sign up for one or more zip codes today. Zip Code Ads Elite Agent Ads, which can easily be created online, are prominently placed in front of local buyers when they search for properties. The banner ad can be an office ad or an ad for the first agent to sign up for the zip code. Instant Agent Leads™ Elite Agents are emailed and text messaged leads when buyers request help. As an Elite Agent, you can capture leads 45 minutes before other agents. Agent Blasts™ All agents in an Elite Office can send New Listing Blasts and Open House Agent Blasts to local agents and buyers in California. 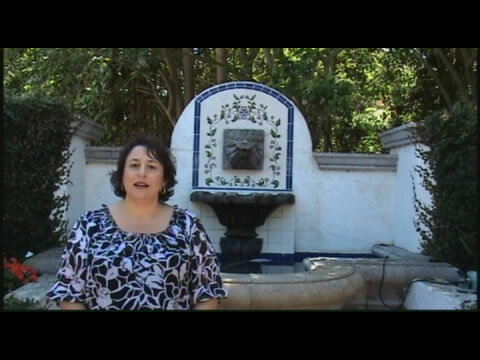 Agent Shows Elite Agents can make and narrate Agent Shows for your listings or office listings. You can post your shows on social media sites, like Facebook, or email them to your buyers. Video Tours Elite Agents save time and close deals faster by letting buyers view multiple video tours online. Buyers inform you which of these properties they would like to see in person. Make video tours using your smartphone or tablet. Interactive Video Tours Elite Agents can create our patented Interactive Open House Video Tours™, which let you decide where to go next on a video tour. Since Your Last Visit Shows Easily keep up-to-date on local listing by viewing only new properities or changes to previously listed properties since your last visit. Our multimedia shows can be viewed on your smartphone, tablet, laptop, or SmartTV. Agent Website Elite Agents have their own website on OpenHouseOn.com. Your video listings, listings, contact information, office, and profile are found online. Property Listings/Flyers Elite Agents can quickly create, customize, and print flyers for your property listings. and quickly have you advertising on OpenHouseOn.com in one phone call. This allows ALL agents at your local office to use ALL Elite Agent features above. 1. A local office is defined as an office bounded by up to 4 streets on a city block. For example, a Century 21 office does not include all offices in the USA, but instead one office in a city.